In this world where everyone is trying to get his or her point across, has listening become a lost art? Listening is a tremendous skill, highly under-appreciated and something that everyone can improve upon. Communication is essential to our lives from our personal relationships to our work ones. In the Information age many of us are constantly communicating in some form -- Whether its texting, phone, tweeting or a good old fashion face to face, communication is constant. Listening creates strong connections. From a business standpoint, listening helps you learn your clients’ needs faster, solving their problems faster. Creating an environment where someone knows his or her voice is being heard builds trust; that trust just might translate into the sale you’ve been looking to close. 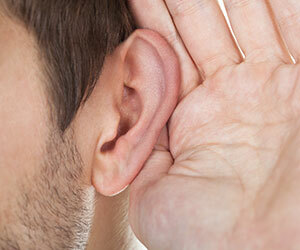 Being an active listener cuts down on misunderstandings that cost time and money. We’ve all heard that “Time is Money”, what if you started saving money just by shutting your mouth and truly listening. A great first step is just to stop talking and interrupting others while they are speaking. Stop trying to put together your comeback while they are still speaking. Just listen. There are great tools and exercises all over the internet on how to improve your listening skills. A classic tip is to concentrate on whomever you are speaking with, hear every word, make eye contact if possible, agree with them and nod your head while they are speaking. When they have completed their thoughts tell them what you heard them say. For example, “So what I heard you say was…” You might be surprised at how your personal filter will change the speaker’s intended message to you. The mastery of listening skills can and will set you apart in the business world, the job market or in your personal life, it simply takes a little practice. For more tips read the complete article Best Advice Ever – Shut Up and Listen by Anil Saxena, President and Senior Consultant Cube 214 and 10 Principles of Listening from skillsyouneed.com.